More than just a DotA clone? Defense of the Ancients (DotA) has come a long way from its humble beginnings as a custom map for the original StarCraft. It only really took off in popularity with its release and refinement in WarCraft III, from which point it went on to feature in the World Cyber Games and has become the sole inspiration for several full retail releases that have been built solely around the concept. Heroes of Newerth (HoN) is one such retail release; a DotA clone, to put it crudely. If you’re looking for something inspired and original in its own right, then HoN is not for you. HoN is an appeal to the core DotA fan – someone who’s looking for more of almost everything the source material offers, from heroes, items, and recipes; to a dedicated community, stat tracking, ladder rankings and tournaments. Beyond some brief character descriptions there’s no story to speak of and beyond an extremely basic and brief tutorial there’s no single player mode either. That’s not what DotA is about; even 2009’s Demigod, which featured computer bots in single player skirmishes, was - at its core - an online multiplayer affair. If you’ve already played a variation of DotA before then you’ll feel right at home. If you haven’t, then I would probably recommend the aforementioned Demigod over HoN, because it’s a much more newbie-friendly introduction to the world of DotA. The basic DotA action-RPG/RTS hybrid gameplay is present and accounted for. Each participant selects a hero to go into battle with, typically in a 5v5 set-up. The map is split into two, with only your half being clearly visible to yourself and your teammates. The goal is to destroy the enemy team’s main base, taking out the towers which are placed along 3 ‘lanes’ leading up to it. It’s like an inverted game tug of war, with the goal being to push the lanes forward. Before you’re strong enough to take down the enemy base however, you first need to level up your hero and acquire gold for stronger items. You acquire experience and gold by killing both the enemy’s AI minions, which spawn at regular intervals, and later on the enemy heroes. Experience results in leveling, which in turn allows you to strengthen one of your 4 skills or your stats. Each hero has 4 character-specific skills, one of which is their ‘ultimate’ skill, which will be particularly useful when facing off against enemy heroes. Each hero also has 6 inventory slots which can be filled with items, and any additional items you purchase or pick up are placed in your stash where they can only be accessed at the store. There’s a wide selection of items to choose from. Not only that but there’s also a recipe system which allows you to combine items in order to produce more powerful variants. Selecting the right items for your hero is a key component of increasing your proficiency with the game. This may all sound quite straightforward, but there is an awful lot to learn; the learning curve for beginners is certainly steep thanks to DotA’s hidden depth and various nuances. Each hero is unique and brings something different to the battle; when you consider that there are over 60 heroes and typically 10 players in each match, well... needless to say there’s the potential for a lot of variety. There are the different tactics you employ at different stages of the battle, the lane you pick, the skills you use (and, more importantly, how you use them), the role you play on the team, the items you purchase, and how you counter the skills, items and tactics of your opponents. It all goes to show that there’s a reason a lot of public games advertise for ‘noobs only’, and it’s not just because the game only recently launched. Heroes of Newerth is a fairly attractive game. The graphics aren’t particularly impressive, but HoN is colourful and vibrant. The spell effects are very eye catching, which always makes for more enjoyable casting. In large skirmishes this can sometimes obscure the action. Each hero is unique and given its own distinct design and personality. Much like with the original source material, WarCraft (or even StarCraft before it), the units have a few key phrases which they’ll shout out, and this further adds to their characters and the game’s overall personality. The ‘mmm yummy!’ of the Devourer is my personal favourite. The sound design overall is solid – I particularly like the announcer’s booming voice over, especially when the heroes are being selected. Hero selection itself is actually like a high stakes minigame all of its own. In ranked matches the team leaders are made to eliminate some heroes from the character selection screen before the teams then slowly take turns to select their heroes. Meanwhile, in most public matches there’s a single countdown timer which ticks down as players discuss their intended picks and choose from any of the 60+ heroes. Most, however, leave it until the final few seconds to make their decision so as not to give the opposing team time to form a group well placed to counter certain key threats. This typically means a mad scramble towards the end of the countdown to secure your favourite. Heroes of Newerth has something of a split personality when it comes to value. On the one hand there are currently over 60 heroes to select from – more than enough to keep most people satisfied for some time to come. Each one is distinct and brings something different to a team’s dynamic, and the vast majority are genuinely useful. Online play is stable and lag-free, and the ability to reconnect to games if you’re disconnected is nothing short of fantastic; it’s made so easy that you’ll wonder why this isn’t much more commonplace. All of your statistics are tracked by the game, so if – like me – that’s something you like to check up on then you’ll feel right at home here. They’re also put to good use during the matchmaking system, to ensure that you’re teamed up with/against players of a similar ability. A built-in voice chat system and full clan, ladder, and tournament support cap off the list of welcome extras. On top of all that, HoN is one game where the claims of ‘extensive post-launch support’ actually appear to be justified. Additional features are advertised as being in the works, so you can expect to find not only new heroes being added over time, but also a custom map editor, additional features for clans and tournaments, and of course patches to balance the gameplay and remove any bugs or glitches. There are, however, a couple of drawbacks. First of all, there are only three maps, and out of those only one (yes, just one) is actually widely used. This is unfortunate because the lack of map variety really does make HoN’s appeal much more limited than it would otherwise have been; you need only look at some of the fantastic map designs to be found in Demigod to see additional map types can work really well in DotA. Beyond that, there’s really only the issue of cost. 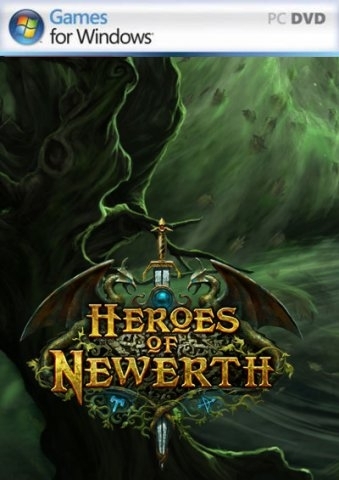 Heroes of Newerth can be purchased over at the [url=http://www.heroesofnewerth.com/]official website[/url] for $30. The question for long-standing DotA fans, though, is whether HoN adds enough to the original game to justify that price tag. For some, the additions of clan support, stat tracking, ladder rankings, more hero variety and a well implemented and stable matchmaking system will more than justify the cost, whereas others really will be much better off simply grabbing a copy of WarCraft III from the bargain bin or trying out the free-to-play [url=http://www.vgchartz.com/games/gamereviewdisp.php?id=40566]League of Legends[/url], which uses a system of optional micro-transactions. Heroes of Newerth, and DotA gameplay more generally, can be extremely addictive. It’s a game that genuinely rewards practice, skill and those committed enough to learn its every facet. The lack of map variety and overall cost are both sticking points given the competition, but Heroes of Newerth is a great version of DotA in almost every respect and is well worth the attention of DotA fans.